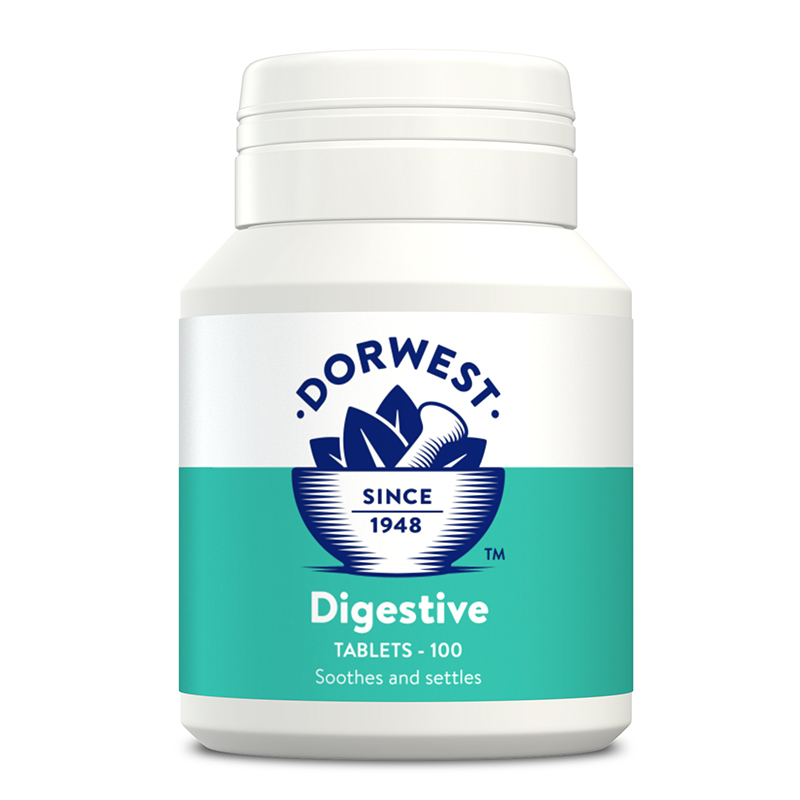 Below are some recent questions we've received regarding Dorwest Digestive Supplement for Dogs & Cats, including answers from our team. Can i clarify do i need to give these long term to help travel sickness or just administer before travelling? Thanks in advance! This should be given short-term for pets suffering with motion sickness. So just before the event to settle the stomach. My 5 month old puggle in the last week has started having the most repulsive flatulance. It's almost eye wateringly bad. I haven't changed anything in his diet and he gets Hills Science Plan puppy food, so not cheap rubbish. Would this medication help? 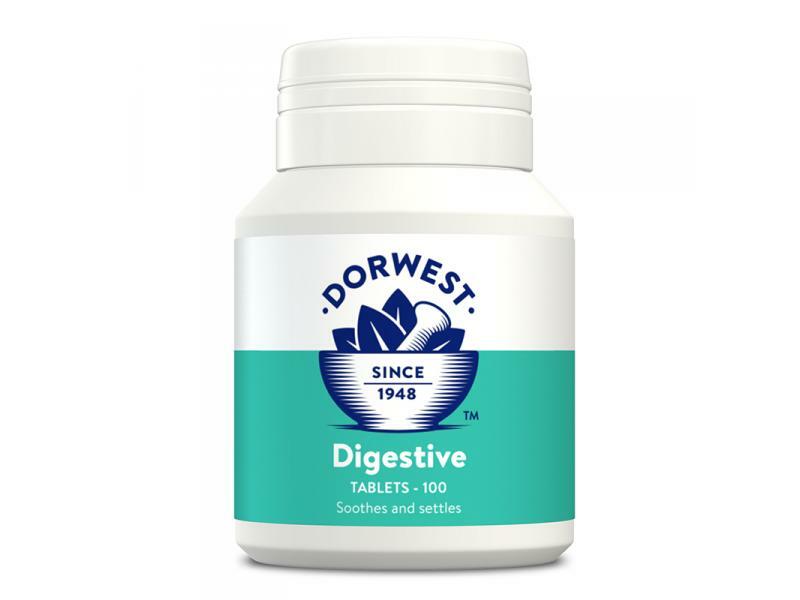 I've been looking for something that might help, but I'm confused about whether to go for this or a probiotic? Different dogs with different causes for digestive complaints will respond to different things. It is quite possible that your puppy will respond well to this product, but you will only know if you try it. Personally I would try a probiotic (Pro-kolin Enterogenic seems to get very good results but that might not work for certain. Again you would have to try it). I would persist with the Hills food and test out one or two supplements. If things do not settle down, then it might be that your individual puppy is better suited to a diet of a different make-up. That does not mean that there is anything wrong at all with the Hills food, but some individuals can have a difficulty with certain ingredients. At some point you could try a diet of completely different base-ingredients (say a fish and potato based diet instead of meat and cereal). The difference between puppy and adult foods is not large or critical, so I would be tempted to try something like Barking Heads Fusspot (adult food) for a while. If it is properly digested by your puppy, fewer nutrients would reach the large intestine, your puppy would benefit better from them and the wind would improve. These things are individual problems and so you will only discover what works for your puppy by trying things out. If you do introduce a new food, try to do it gradually over a few days and do not let your puppy gorge on it if it enjoys it. A bit less food going through the gut makes life a lot easier for the digestion and again, improves the benefit from the food eaten. Good luck, I am sure all will be OK before long.